Today on the Doc On The Run Podcast we’re talking about how you can tell when it’s okay to resume running with a stress fracture. That brings up a good point. Before we get started answering Whitney’s question I want to remind you that if you have a running injury question that you would like answered as an episode of the Doc On The Run Podcast you can send it to me by posting your question on Twitter and tagging @myrunningdoc. Back to Whitney’s question. As we all know stress fractures in the foot are one of the most common overuse injuries among runners. But just because stress fractures are common, it doesn’t necessarily mean that every runner who gets an aching, throbbing pain in the ball of foot has a stress fracture. And even if you do have a stress fracture you have to figure out what that really means. So, here are the 10 steps to use when you’re trying to figure out whether or not your stress fracture has healed enough to resume running. 1 . Make sure you have the right diagnosis. The overwhelming majority of runners who contact me for a second opinion are doubtful or confused about their diagnosis. Whether it’s during house call, a phone consultation or a virtual doctor visit via WebCam online, many runners will start off by explaining they don’t really believe the diagnosis the previous doctors have given them. In most of those cases the concern is some relatively common overuse injury like a metatarsal stress fracture. It may sound silly to tell you they have to start off by getting the right diagnosis but it’s true. If you have pain in the ball of the foot and your doctor tells you that you have a stress fracture but actually you have a neuroma, you may wind up taking a lot longer period of time off of running than needed. First of all, nerves don’t improve as quickly as a minor bone injury like a stress response. For example, just last week my son got a stress reaction type injury in his foot. After only a few days in a fracture walking boot he was 80 or 90% better. If you had a nerve injury that would not get 80 or 90% better in only a few days of immobilization in a fracture walking boot. But the problem is the rate at which you improve, suggests to you and your treating physician something about the severity or the seriousness of the injury. If my son had a stress reaction of one of the bones in his foot and he was immobilized in a fracture walking boot, but only had about 10 or 20% improvement in a week, I would assume it was a more serious, more disruptive fracture. Based on that slow rate of improvement, of course we would also assume he would have to use the fracture walking boot for a lot longer period of time. The assumption would be he probably would have wear the boot for some period time between three and six weeks. Let’s say I had misdiagnosed him and he actually had a nerve injury, and not a bone injury. And let’s say I put him in a fracture walking boot because I thought it was a bone injury. And because nerves don’t improve very quickly and he was wearing the fracture walking for about a week, but only had a minor improvement, if I still assumed that he had a bone injury then he would probably still be wearing a fracture walking boot several weeks later. So even after several weeks in a fracture walking boot, it would still probably be only a modest improvement to a nerve injury. So in my mind, that would be wasted time in a fracture walking boot. No runner should wear a fracture walking boot any longer than absolutely necessary. We’ll talk more about that in just a moment. But first let’s talk a little bit more about getting an accurate diagnosis. 2. Understand the difference between a stress fracture and a stress response. Metatarsal stress fractures are not one particular type of injury. Many runners seem to think that a stress fracture is just a tiny crack in the bone. That is one form of stress fracture, but it’s not the only form a stress fracture. Automobile accident provide a good analogy. Let’s say your best friend tells you he wrecked his car today. What image comes to mind? Your friend could say the only thing that happen was someone’s mirror barely touch the door of his car. There may have been a tiny smudge on the paint. That smudge might even wash off when the car is driven through the car wash. So even though technically there was an accident, there’s no real damage. Or maybe your friend got sideswiped on the highway with enough force to cave in the door and the front quarter panel. This might be easily repairable, and the car might completely drivable in the end. Or maybe your friend totally lost control, the car spun around sideways and then smacked into a bridge abutment at high-speed. In that case the frame could be bent, the engine could be ruined and the car could be completely and totally destroyed. But all of these different scenarios still describe an automobile accident. 3. Stress fractures suffer a similar range of damage. There could just be a tiny amount of inflammation within the bone because you landed on the foot wrong. Maybe you were doing speed work in the wrong type of shoes. Maybe you’re doing drills barefoot on the track and whacked the bone a little too hard. Maybe you were running down a trail, landing repeatedly on the edge of a wooden step. Or maybe you were running for months with increasing pain and swelling in the foot because the bone was actually starting to crack. Maybe you ran with an aching foot for so long you actually not only developed a stress fracture but you actually cracked the bone completely in two. The unfortunately reality is that it’s very difficult for your doctor to make a determination about where you are exactly along that spectrum. It’s basically a judgment call. Only the very worst types of stress fractures will show up on an x-ray the first time you go to the doctor complaining of foot pain. If you have an MRI it can confirm that you have inflammation within one of the bones that would suggest a stress fracture. If you have an MRI and you have absolutely no inflammation evident with in the bone that hurts, the MRI can rule out a stress fracture. We recently created an episode that discussed the utility of MRI in evaluating stress fractures. X-rays aren’t perfect. An MRI isn’t even perfect. They all just provide difference pieces of the puzzle that your doctor uses to get a clear picture of your injury. So you have to make sure that you can supply all the information you can to your doctor and then be confident you have the right diagnosis. 3. Figure out whether or not the treatment you have undergone has put you at increased risk of another injury. Decreasing your running volume puts you at a higher risk of injury later. Wearing a fracture walking boot also puts you at higher risk of developing another injury when you resume running. Using crutches adds even more risk, because you haven’t been using your foot at all. Offloading the metatarsal with a variety of pads can also put your risk of other problems. Simply put, inactivity makes you weaker, stiffer, decreases your ability to maintain good running form and all of those conditions put you at higher risk of an injury once you resume running. You have to carefully evaluate your current condition. Just because you feel strong doesn’t mean you are strong. You have to take a realistic assessment of your current physiologic condition. Decide whether or not you have any possible frailty that could put you at risk of an injury if you resume running. 4. Track your healing carefully. It’s astonishing that so many runners track their progress when they are training but they do nothing to track their healing when they are recovering. You need to see progress. To see progress you need to keep track. If you’re confused about how to do this you should see the episode on keeping a pain journal. That episode will show you exactly how you can use a pain journal to track your progress. 5. Carefully evaluate your goals and timeline. If you hire a coach to get you through a marathon they’re going ask you a couple questions before they tell you to do anything. How long have you been running? How many miles are you currently running? What is your current pace when you run? When is your goal race? How fast you want to run that race? With those questions the coach is trying to get some idea of how experienced you are as a runner and how far apart your goal race fitness is in relation to your current state of fitness. And then, most importantly your coach is trying to figure out how much time does she have to get you from where you are today to where you need to be. Your coach has to have a realistic idea of what it’s going to take to get you to improve from your current position to the starting line with the realistic hope of achieving your goal. You have to do the same thing when you are injured. Your doctor should also help you with this. So think back when to when you went to the doctor. If your doctor isn’t asking you about your running goals, the chances are good your doctor is only focusing on your injury, and is not helping you focus on achieving your goals. You have to focus on your goals. So the first step is to figure out what your next goal is. Then you have to figure out how much time you have to prepare to achieve that goal. Once you have that goal and timeline, you can develop a plan to recover, heal your injury, get back to running and achieve that goal. 6. Strengthen everything that isn’t injured. If you get a metatarsal stress fracture, it may feel like you’re broken. But what’s most important is that you realize you have 25 other bones in that foot that aren’t broken. There are 206 bones in the adult human body. If you get a metatarsal stress fractures that means you still have 205 bones that aren’t broken. When you think about it that way it really isn’t that bad. The problem is many runners think, or they were told by their doctors, that they have to just sit still and let that injured metatarsal bone heal. But if you sit completely still those other 205 healthy bones are going to start to rot. Why does core strengthening help runners run faster? Because your body is a running machine. So you have to try to keep the rest of the machine fine-tuned, running well and even getting stronger so that you can support that injured metatarsal bone and protect it when you actually return to running. All of the most commonly prescribed treatment regimens for metatarsal stress fractures will make you stiffer. If you use a cast you will get so much indiscriminate scarring around your foot and ankle it will be stiffer forever. A similar thing happens when you wear a fracture walking boot. If you just use crutches you will instinctively hold the foot still. And if you sit on the couch for six weeks you are also going to get stiffer. You may think it is not a big deal but the truth is that your foot is really just a lever at the end of your leg. When you make the system stiffer it absorbs forces more statically. When you are loose, you absorb forces dynamically. Being loose instead of stiff allows you to absorb forces over a longer period of time, which decreases the forces in a way that lowers the stresses. Why does yoga help runners run faster? Why does stretching help runners? 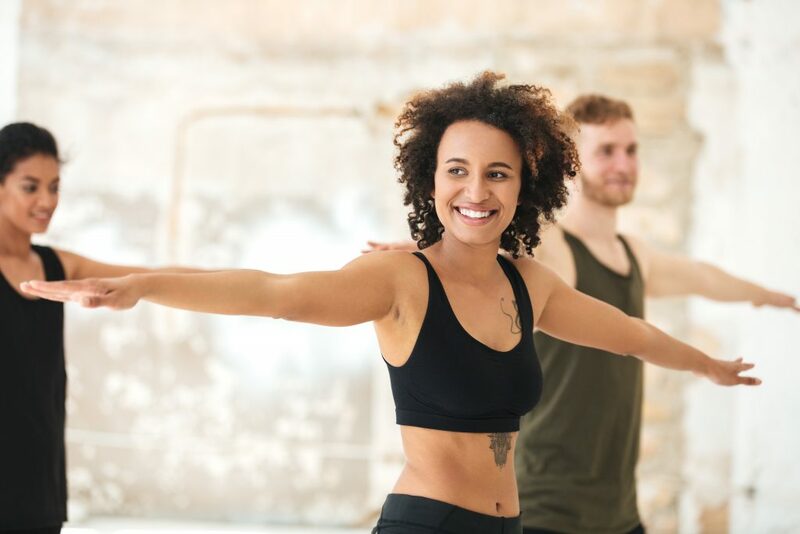 Think about those questions and then realize that the treatment you may have undergone, even if under the direction of some reputable well-meaning physician, that treatment itself is probably anti-stretching. You have to figure out ways to stretch and stay loose. You have to keep things moving. You have to figure out how to maintain all of the flexibility that has developed over the years of your running and training routine. 8 . Determine if you are healed enough to start strengthening. This is really the million dollar question. Every runner wants a concrete answer on when is it safe to start running. Every runner wants to know whether or not they are healed enough to start strengthening and applying forces to the foot without risk of aggravating the stress fracture. 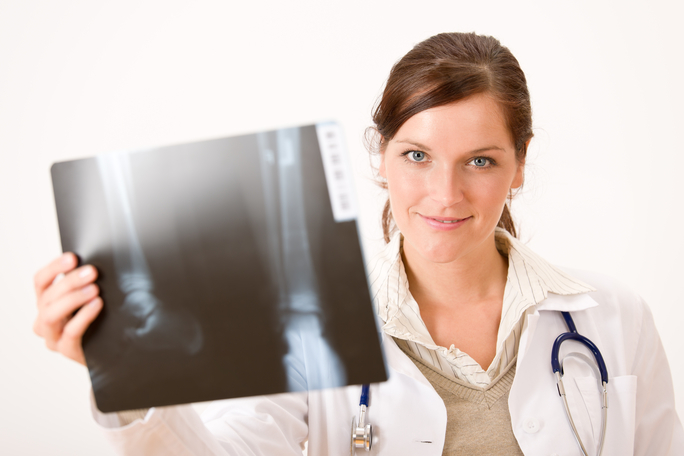 X-rays can show you secondary signs of healing that may lead you to believe the bone is healed and completely stable. Most runners really can’t wait as long as it takes for that evidence to show up on x-ray. An MRI can show a reduction in inflammation relative to an earlier MRI. But in practice we don’t routinely use MRI exams to determine whether or not it safe for you to run. Part of the reason for that is that MRI exams are expensive. 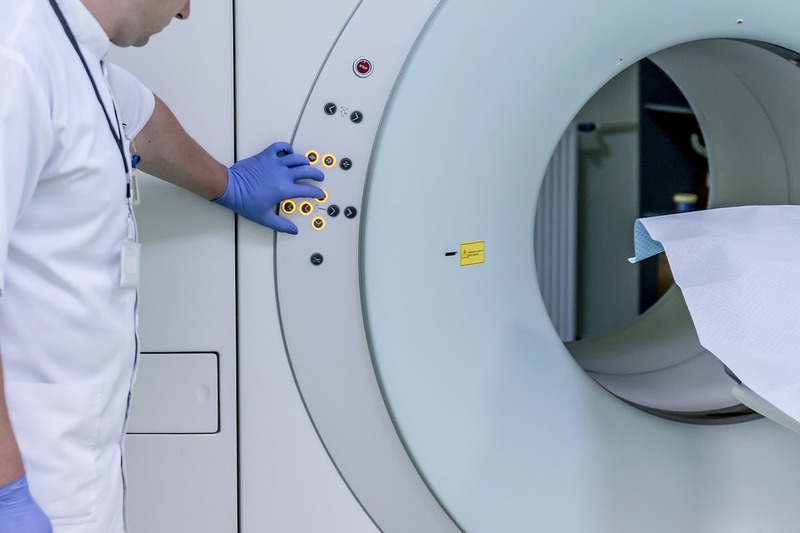 While your insurance might cover an MRI in order to evaluate an ongoing problem that doesn’t seem to be responding to treatment, it is unlikely that your insurance carrier would want to pay for serial MRIs to help you determine the rate of reduction of inflammation within the bone. The other problem is that MRI exams can be overly sensitive. In many cases an MRI will show inflammation within a bone even if that bone doesn’t hurt. And the truth is if you press on the bone, you push on the bone, or you manipulate and try to bend the bone and it doesn’t hurt then it is probably safe to increase the stress to the bone. So if you have no bruising, you have no swelling, you have no tenderness or pain when you manipulate the metatarsal bone, the chances are good you can start increasing the stress applied to the bone. The goal with increasing stress in an effort to return to running is to very deliberately and systematically add forces to the bone without exceeding the bones capacity to absorb those forces. Because if you apply to much stress, too fast, you can easily aggravate the stress fracture. You have to make sure you avoid that setback. 9. 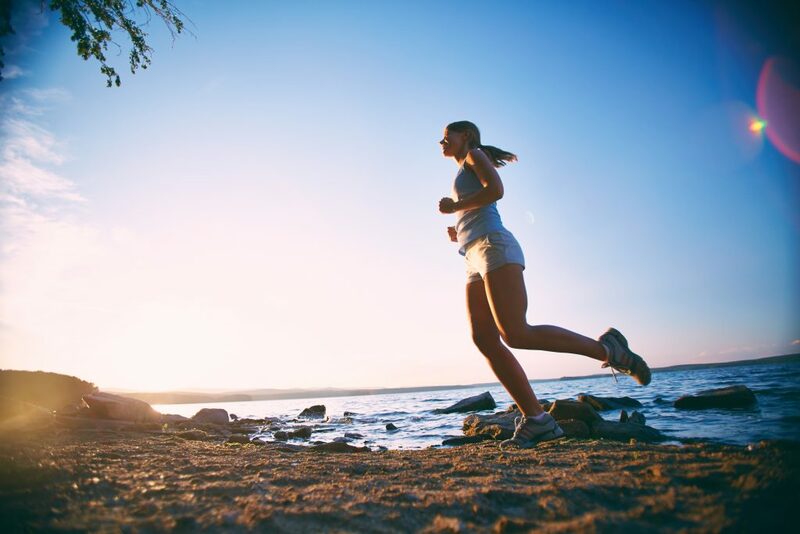 When you start running, reduce stress. Provided that you’ve been actively stretching, deliberately strengthening and you have been creative in your efforts to maintain your fitness so the whole rest of your system is fortified and ready to protect that injured metatarsal, you can probably start running again. You have to make sure that you discuss this closely with your doctor so the two of you can agree exactly when that earliest possible moment appears and you can begin running. Unfortunately that is where many doctors leave you hanging. They’ll just say, “Okay you can start running.” But then they give you no direction at all. Sometimes he will tell you to “use pain as your guide.” And frankly I still don’t really understand what that means. Your goal should be to begin running but use a variety of strategies to reduce the amount of stress applied specifically to that metatarsal. Sometimes you can use pads to decrease the pressure to the metatarsal. Sometimes you can use over-the-counter shoe insert to decrease stress to that metatarsal. Sometimes you can switch your running shoes to decrease stress to the metatarsal. Sometimes you can simply run on one side of the road to supinate your foot or pronate the foot as needed to decrease the amount of stress applied to the healing metatarsal bone. 10. Use your return to running as part of your evaluation process. In much the same way as you need to track your pain when you’re beginning to heal, you need to use the information your body gives you while you’re running to help direct your course. You need to write down where you ran, how far you were running, whether or not you had any pain and whether or not you felt any pain that evening or the day after the run. You need to track your intensity and all of the strategies that you used to try to reduce stress to the healing metatarsal stress fracture. All of the information you gain by tracking your runs and the consequences of those runs will help you evaluate your progress and speed up your return to running. And whatever you do, don’t forget you’re not just trying to heal an injured metatarsal bone! You are trying to run. You are trying to run without pain. You are trying to run faster. You are trying to get stronger. And most of all, you are trying to show up at the starting line on race day with every bit of confidence that you are going to make it to the finish within your goal time. Choose a goal, determine your timeline and then do everything necessary to evaluate your progress and make course corrections as needed to get back to running, get to the starting line and then make it to the finish and achieve your goal!